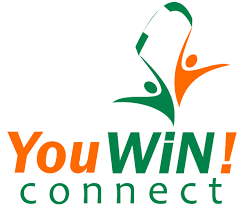 published on the website- www.youwinconnect.org.ng. (Click on Success List on the Home page). Emails have been sent to the shortlisted applicants. Also, kindly check your emails (inbox or spam) for further instructions. CONGRATULATIONS !!!! Bala Saleh, Npower Community on Facebook. List of Shortlisted Applicants for the YouWIN Connect Online Training Programme. Check your Geo-Political Zone and Click download next to it. Nigerians which in turn will create jobs and wealth. This does not require any form of registration and all information are provided free the pubic. This is an online/in-class extension of the YouWiN! Connect Enterprise Education and targeted at young entrepreneurs. It aims to build entrepreneurial capacity (online and in-class training) through exposure to relevant SME development materials and tools such as technical, legal and financial skills in business management. Aged between 18 – 40 years. Have Post secondary school qualification (includes university, polytechnics, diplomas, NCE etc) and Have Proposed and/or existing Business must be located in Nigeria. Your Business must not entail production or distribution of weapons, alcoholic beverages, tobacco, gambling or any activities in contradiction of the Nigerian constitution. Must be a Potential / existing entrepreneurs with innovative business ideas or plans for expansion respectively. Your Proposed Business must be in one of the programme target sectors. To apply for the YouWiN! Connect Capacity Building Visit http://apply.youwinconnect.org.ng. Once you register, a system generated acknowledgement email and passcode is sent to your email inbox. The passcode is required to login to the application platform. Previous Post Previous Post: Bitclub Advantage Network: How i Earn Bitcoin While Sleeping With Bitclub Advantage.